Mene was one of the finest of the Animalier sculptors and well known for his portrayals of domestic animals. While Mene sculpted mostly horses and dogs, he also did farm animals. His Bulls are powerful, his Goats inquisitive, and his Sheep are accurate portrayals of the popular Merino breed of the 19th century. This fine bronze of a Merino Ram has the animal posed on a log with his head up scenting the air. 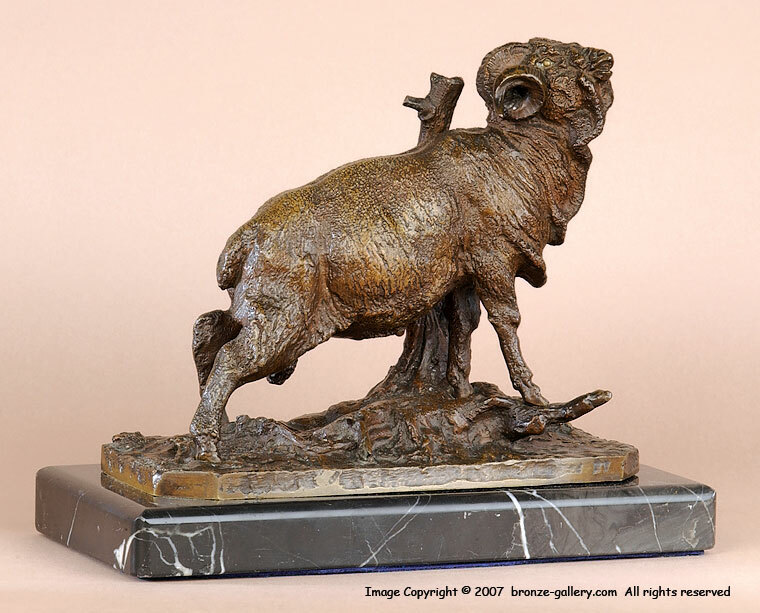 The Ram is a very detailed bronze cast in the 1840s, it has the flat sided base that Mene used during this time. It has a rich brown patina, it is signed and stamped 44 on the stump, and is mounted on a newer 11 1/4" long black marble base. 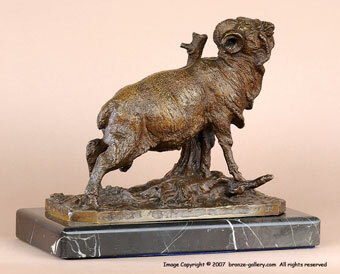 One of Mene's best sculptures, this Merino Ram is a rare model. 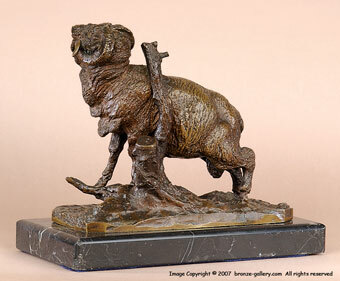 This model is illustrated in Payne's book Animals in Bronze on page 371.